Hello stampers! Thanks for stopping by our blog today. 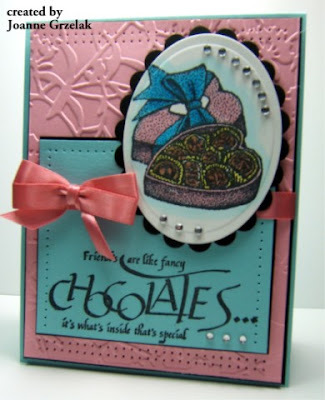 We hope you're here to check out this week's CCEE challenge and designs and that you'll play along with us. SWEET is the word this week. 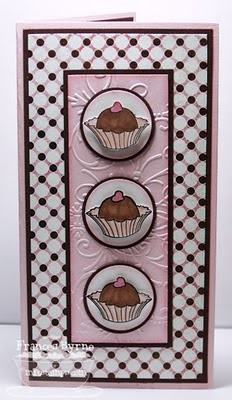 Charlene Merrick challenged the CCEE design team to incorporate a SWEET treat into their creations this week. 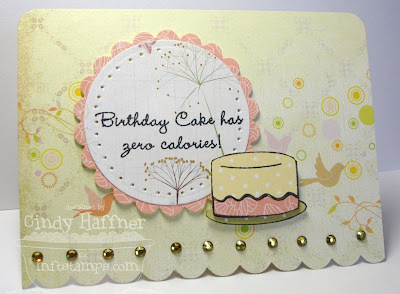 Your sweet treat can be stamped, baked, altered….let your imagination soar! We hope you'll join us in this challenge; just be sure to use keyword CCEE1007 when you upload to your SCS gallery. Oh, and don't forget to come back here and link it on Mr Linky so that everyone else can see your card too! 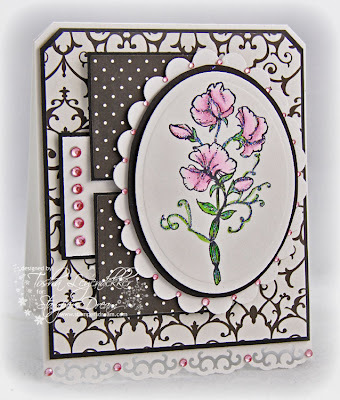 Now this one sounds as if it will work with a card I want to make my sis :D.
Got to laugh at Tosh sneaking in that sweet pea - I love them. And those chocolate coated strawberries look wicked! Well, this caused me to make a card to send to my DGC with a gift card from McDonald's. Love the samples again!! Wonderful challenge and yummy samples! My Saaa-weet element comes in the form of a sweet image ... hope that qualifies! Thanks for the fun!